This Colt M16A1 is the coveted factory Colt Machine gun that every collector dreams of. It is not your standard AR15 lower that was converted after the fact. This M16A1 left the factory as a Machine Gun, which is rare for transferables. It is in excellent cosmetic and physical condition and shows extremely well for its age. If you look at the internal components, each show very minimal wear. Trigger and sear pins show no wear at all. 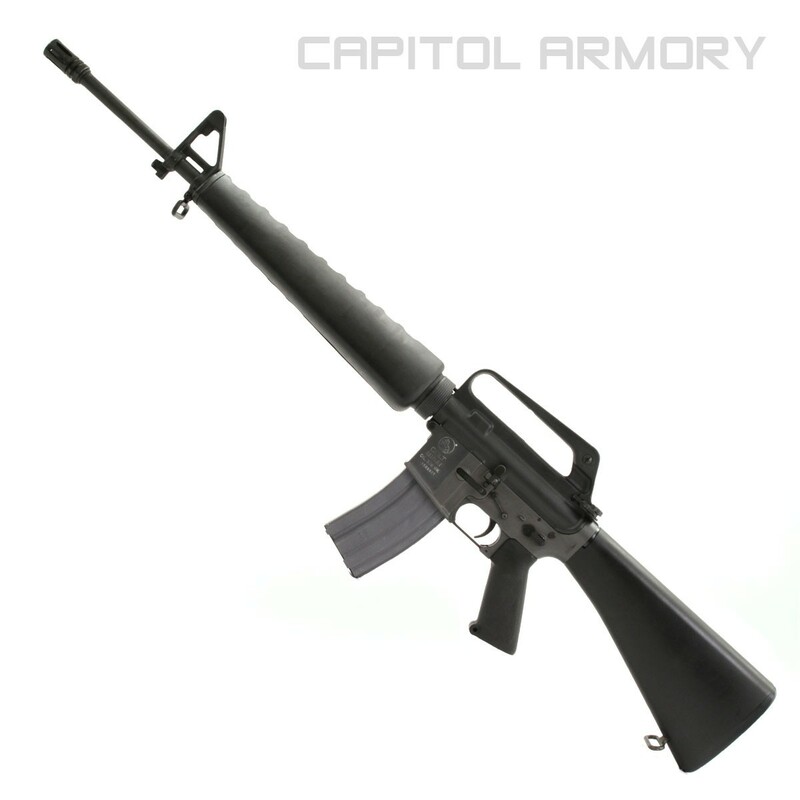 This Colt M16A1 comes with a correct 20" upper receiver and one 30 round NATO magazine. 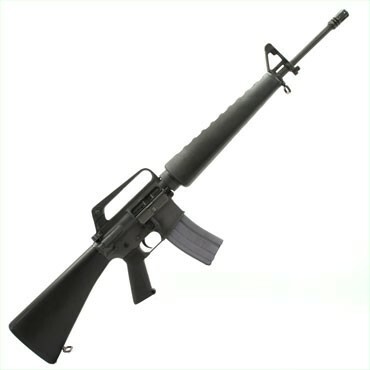 This Colt M16A1 is on a Form 4 in TX and is a consignment sale. 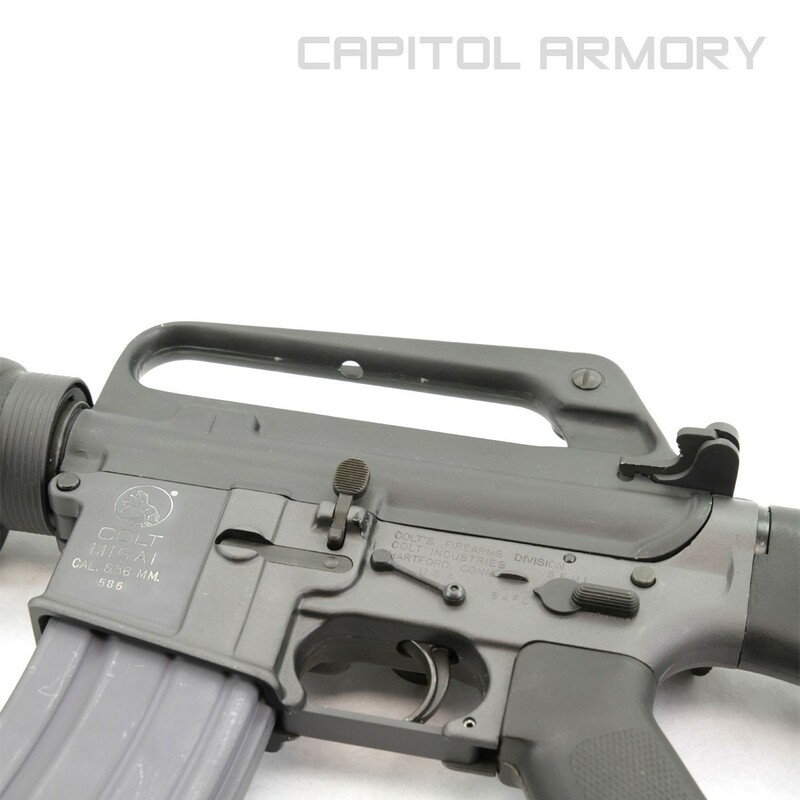 Capitol Armory has possession of the Machine Gun and has authority to broker the sale. 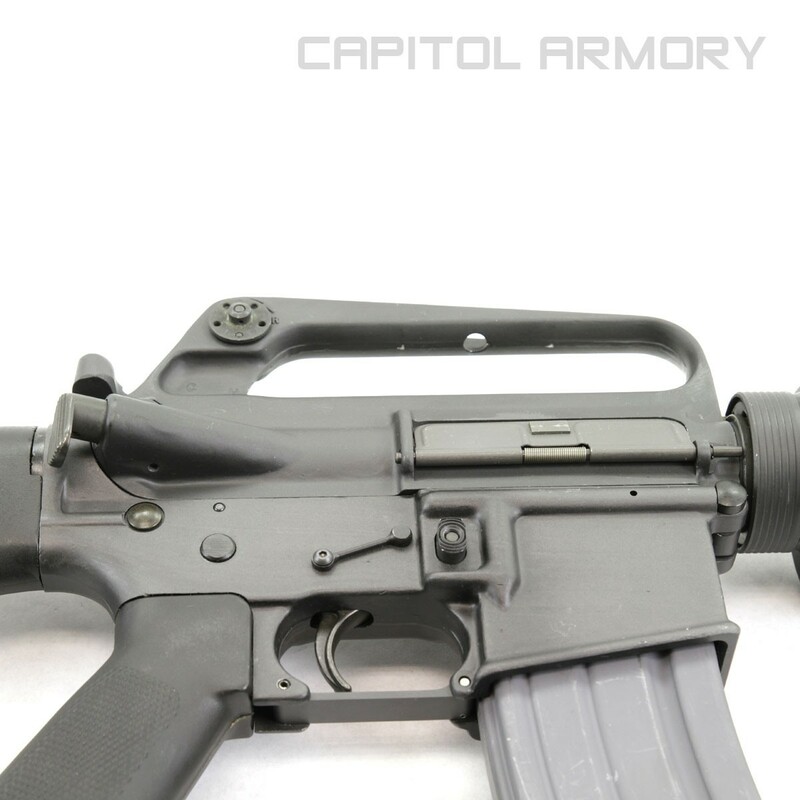 Capitol Armory will assist with the paperwork / transfer, escrow process, and shipping (if applicable) to facilitate an easy sale for both parties. This M16A1 will transfer to a TX resident on a Form 4 (seller to buyer) and will transfer to Non-TX residents via a Form 4 to a dealer in their state. The seller will cover one tax stamp transfer ($200) to the buyer + any applicable shipping fees. Since this a private party sale, TX residents paying with a check or certified funds will avoid paying TX sales tax. We can accept credit cards for this purchase, but the buyer would pay a 3% fee and sales tax if applicable.